Our team of timeshare exit experts can get you a timeshare cancellation. All we do is timeshare cancellation. We are a professional timeshare exit consumer advocacy organization. Our timeshare exit company assist timeshare owners worldwide with timeshare cancellation and how to get rid of a timeshare as well as writing a timeshare cancellation letter. If you need help with doing timeshare cancel for both timeshare and vacation club ownership our team of timeshare exit professionals can help you get a full timeshare cancellation. Our proven timeshare exit staff and our proven timeshare cancellation system can help timeshare owners to permanently get out of timeshare and stop all mortgage payments, maintenance fees and all timeshare special assessments. If you want to learn how to get rid of a timeshare, a simple phone call to one of our team of timeshare exit specialists can help you to understand the entire timeshare cancellation process. 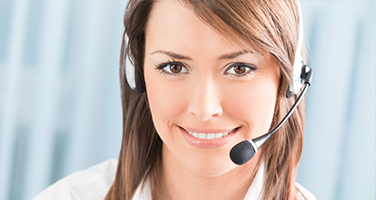 We offer every possible timeshare contract cancellation solution or service to owners of timeshare. 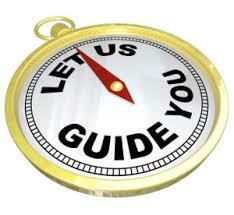 However, we DO NOT perform timeshare rentals, timeshare resales or any active that involves selling timeshares. Duress is an unlawful coercion used by the stronger party to induce the weaker party to enter into a contract by threatening or using high-pressure sales tactics and/or using multiple sales people to wear down the weaker party until they sign a contract. This can be a reason to cancel timeshare contracts. Our “ Timeshare Exit Cancellation Service” is for timeshare owners who feel they have had deceptive sales tactics used against them during the purchase or upgrade of their timeshare. Our team of timeshare exit experts understands timeshare and consumer trade practices and if a timeshare buyers’ circumstances qualify, we can fully cancel timeshare obligations as we have for so many others. With our years of experience, we know the timeshare industry very well and assist our clients, with our direct connection to the proper third parties whose involvement expedite our client’s timeshare cancellation and total contract release and termination. Our professional timeshare exit services can assist timeshare owners whether their timeshare is fully paid for or if they are still making payments on their timeshare mortgage. Our clients are timeshare owners who want to learn how to get out of a timeshare and/or have been victims of unethical, deceptive and fraudulent timeshare sales practices. Our timeshare exit cancellation services come with a full 100% money back guarantee. Most timeshare owners are not even aware that they have this kind of timeshare exit option available. Misrepresentation is a contract law concept. It means a false statement of fact made by one party to another party, which has the effect of inducing that party into the contract. A misrepresentation is also a statement about something that is not in line with the facts. 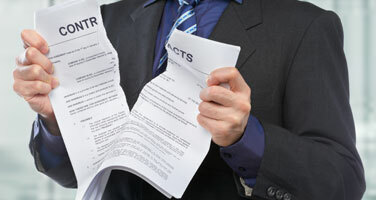 Timeshare contract misrepresentation may happen in one or more ways as shown below. A fraudulent timeshare misrepresentation is also where someone misstates a fact and either knows or believes that what he or she is saying is not true or is not sure whether or not the statement is true but passes it off as true anyway to induce a party into a timeshare contract. This can be a reason to cancel timeshare contracts and would be considered timeshare fraud. A false statement that is likely to induce a reasonable person to assent (purchase) or that the maker knows is likely to induce the recipient to assent (purchase). If a party to a timeshare contract, relies on the fraudulent timeshare misrepresentation and enters into a timeshare contract based on that misrepresentation, the timeshare contract is voidable by the innocent party. A timeshare contract can be canceled because of fraud if one person knowingly made a material misrepresentation that the other person reasonably relied upon, and that disadvantaged the other person. Timeshare fraud requires an outright lie, or a substantial failure to state a material fact about an important part of the contract. Timeshare Fraud will invalidate a timeshare contract. A material misrepresentation is an important untruth and our timeshare exit staff may use this to help you do a timeshare exit by getting you a timeshare cancellation on the grounds of timeshare fraud. 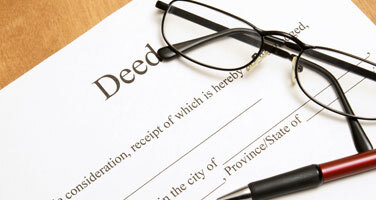 A breach of contract also called a default – is one party’s failure, without a legal, valid excuse, to live up to any of his or her responsibilities under a contract. A breach can also occur by failure to perform as promised. This service allows timeshare owners who have completely paid off their timeshare and are current on their maintenance fees to transfer the ownership to another person or company. This service is perfect if the owner no longer wants or uses their timeshare, and they do not want their children to have to deal with it, or if they are tired of and wish to keep paying the rising timeshare costs. One again, please understand, the Timeshare Cancel Center is not a listing company and we do NOT handle or do timeshare resales or timeshare rentals or any active that involves selling timeshares. It’s important to also know that timeshare resales and timeshare rentals are an option for a very limited number of timeshare owners who are fortunate enough to own timeshares in certain seasons and locations. There is a resale or rental market for timeshares, but the truth is, it is very limited and very few timeshare owners actually have timeshares that can be rented or resold. In addition, the bold truth about the timeshare resales and/or rental industry is that there are VERY few timeshare resales or rental companies that actually do what they claim to do. Many are in fact, timeshare scams! 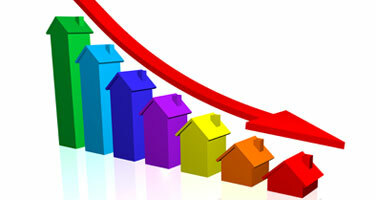 Resales And Rental Companies Are Rip-Offs! Many times they pretend to have a buyer for a seller even though the sellers timeshare has never been listed. Unfortunately, there are countless timeshare owners who have been taken advantage of by unscrupulous businesses offering to sell or rent their timeshare properties for a fee, all the while knowing that the timeshare owner’s properties will never rent or sell. The overwhelming majority of these timeshare resales or rental companies are fly-by -night companies that are nothing more than listing companies. Our timeshare exit services offer free timeshare resales and/or timeshare rental counseling services to ensure that the resale company a timeshare owner is considering is in fact, legitimate. 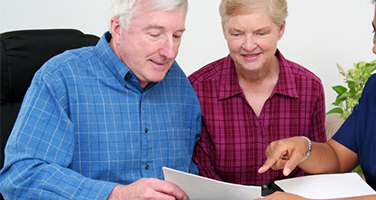 A part of our timeshare exit service is to educate consumers who are considering timeshare resales. If you have been approached by a timeshare resales company, give our timeshare exit staff a call to validate the timeshare resales company prior to signing a resale contract. For the timeshare consumer that has tried to resale their timeshare or for the timeshare owner that feels they have been misled and/or are victims of unethical and timeshare fraud sales practices while purchasing or upgrading their timeshare our “Timeshare Exit Cancellation Service” is a very good option for them. Our “Timeshare Exit Cancellation Service” involves our tried and true timeshare exit process which is guaranteed to deliver timeshare cancellation results! If you are a timeshare owner, who can NOT sleep at night because you want a timeshare cancellation but you need to know how to get rid of a timeshare, then keep reading. Every day, we talk to so many people who are just like you. Here is the good news, we can show you how to get out of a timeshare and help you get a full and complete timeshare cancellation. Just to know that there is timeshare relief out there that can reverse the fear, anger and hopelessness when you find out that you have gotten yourself into deep water, hot water that is over your head and you feel like you are drowning in despair of wanting to cancel timeshare contract. Maybe you are thinking that, I need to cancel my timeshare and/or get out from under the financial burden of a timeshare scam, but you don’t know how. And you don’t know where to turn, we understand how you feel, because most people have no idea how to get rid of a timeshare. Many people think all you have to do is send a timeshare cancellation letter. This may work a few days after you buy timeshare, but just sending a timeshare cancellation letter after what’s called, the timeshare cancellation period, will be of absolutely no help what so ever. However, we have more good news, and we are here to tell you that buying a timeshare and having to pay for it, for a lifetime does not have to be the end of the story. And please don’t think for a moment that we are talking about doing one of those timeshare resales scams. 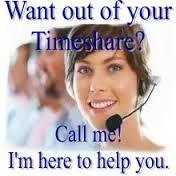 We have helped many people get out of timeshare! 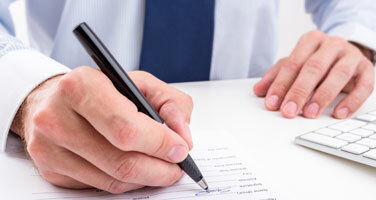 Yes, there is such a thing as a timeshare contract cancellation. In fact, all we do every day (7 days a week) is timeshare cancellation for people all around the world and you can be next, to step into the freedom of timeshare exit! When talking about performing a timeshare cancellation again, they can be done, but you have to know how to cancel timeshare. 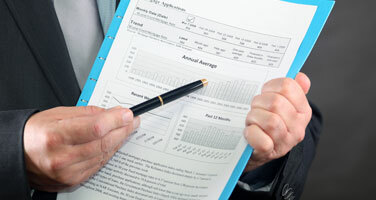 Believe me, timeshare cancellation can be done by knowing how to prepare the right documentation. However, it’s not just anyone who can secure a timeshare cancellation. In today’s timeshare marketplace, it takes an experienced team of timeshare exit professional in preparing, conducting and performing the timeshare cancel process. In addition, you have to know how to use the right timeshare cancellation letter otherwise, you will never be able to cancel timeshare contract. If you really feel deep down inside, that what you want is to, cancel my timeshare, then we strongly recommend that you definitely acquire top timeshare exit professional help. Our timeshare exit staff know all the ins and outs of doing a timeshare cancellation. 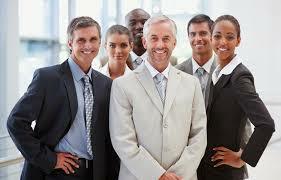 When we say, “acquire top timeshare exit professional help”, that does not have to be timeshare attorneys. In fact many times, timeshare attorneys won’t even take your case. Why? They feel that there is simply not enough money in taking on a timeshare cancellation case, so they won’t even get involved. It’s not uncommon for timeshare attorneys to say, no thanks and wish you the best of luck in getting a timeshare cancellation. But if you are ready to do a timeshare exit, there is hope. We can show you how to get rid of a timeshare. Please don’t let other people or companies make you feel hopeless by telling you that, you cannot cancel timeshare, our team of timeshare exit professionals is known for being experts in conducting all phases of timeshare cancellation. The fact is, you don’t have to continue to live with a totally unscrupulous timeshare contract that you feel is a timeshare scam. We cannot tell you how many unhappy people we talk to that have owned, and/or paid on their timeshare for years and have not been able to use it the first time. Whenever they phone the timeshare resort and try to book a vacation, they are told that those dates are not available or that they don’t own enough points to vacation at that time. Can you imagine that you own a home, pay on it monthly, are required the pay for the upkeep and everything else that is connected to the home all to have someone tell you, you can’t use it? I mean it sounds so crazy, but it’s all too true with some of the timeshare scams. When you bought into the whole timeshare concept, no one ever explained to you that this might be a situation you would encounter. The nice timeshare salespeople told you that timeshare was the best thing that’s ever happen and unfortunately, you believed it; and now like so many other people you have gotten yourself into a timeshare scam. But, we can help you to take your life back and get out of timeshare and the timeshare scam you were hoodwinked into buying. Take it from someone who knows, after we help you do a timeshare cancellation you’ll also be able to take back those sleepless nights. To learn even more about doing a timeshare cancellation see our frequently asked questions or simply give us a phone call.